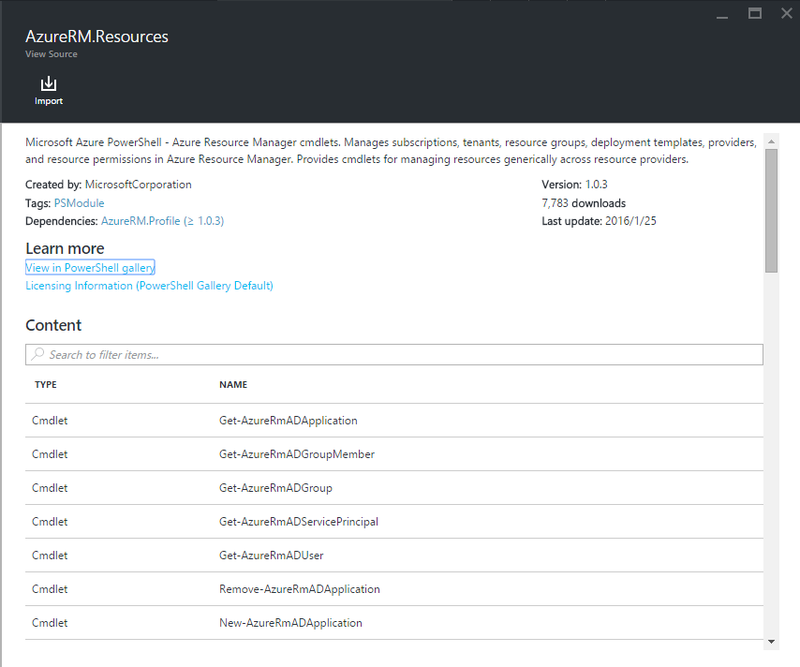 When you drill into a specific module, you can view more information about the module, including a link back to the PowerShell Gallery, any required dependencies, and all of the cmdlets and/or DSC resources that the module contains. When you click the Import button, you will see the module name that you are about to import. If all the dependencies are installed, the OK button will be active. If you are missing dependencies, you need to import those before you can import this module. Select OK to import the module, and the module blade will launch. 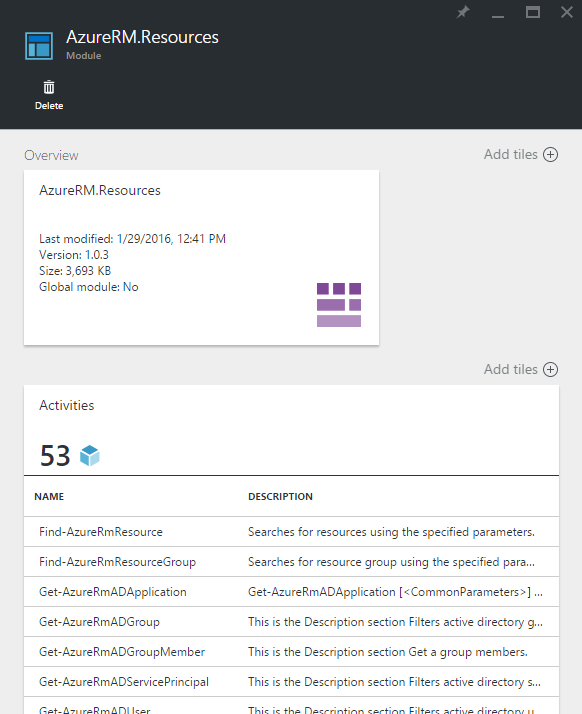 When Azure Automation imports a module to your account, it extracts metadata about the module and the cmdlets. Another feature we’ve added in this release is to show that the imported module is still in the process of extracting cmdlets, so you will know when it is ready for first use. 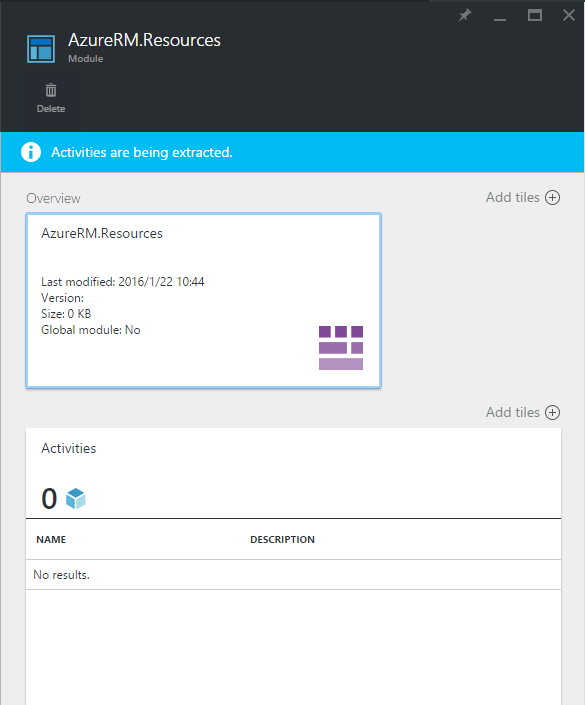 When the module is imported, you will see the available activities, and you can use its resources in your runbooks and Desired State Configuration.